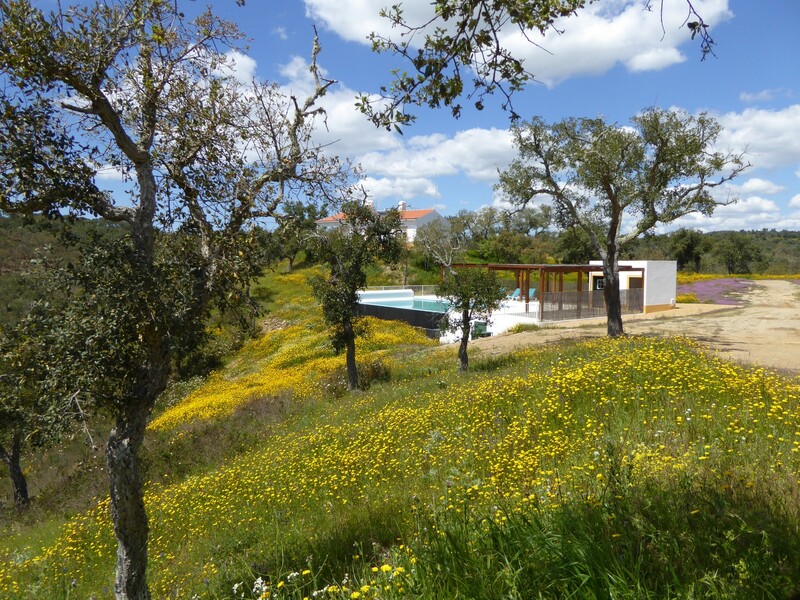 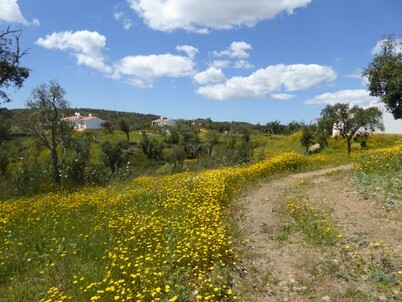 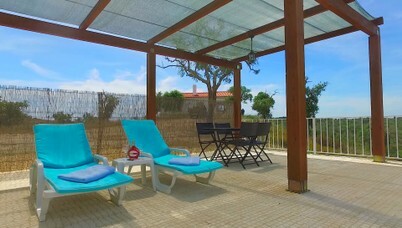 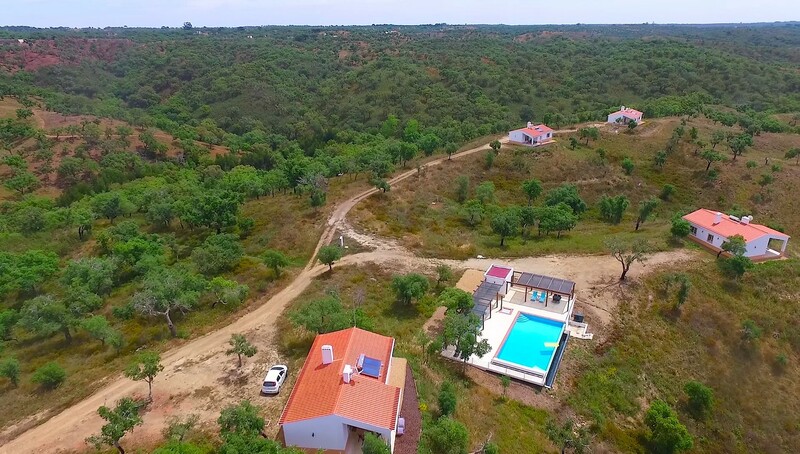 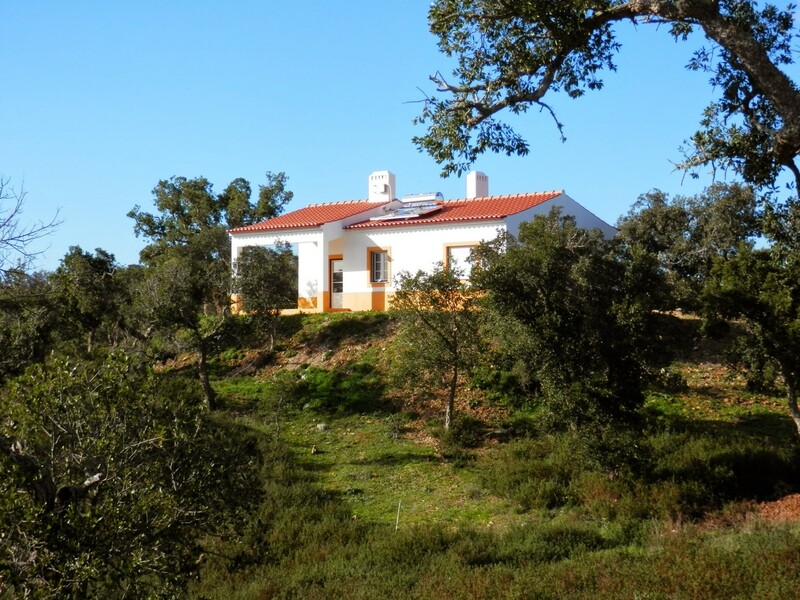 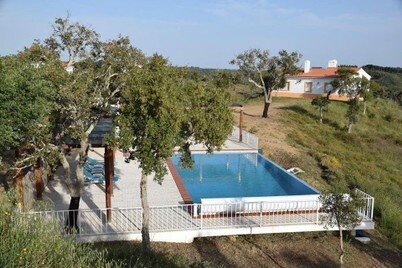 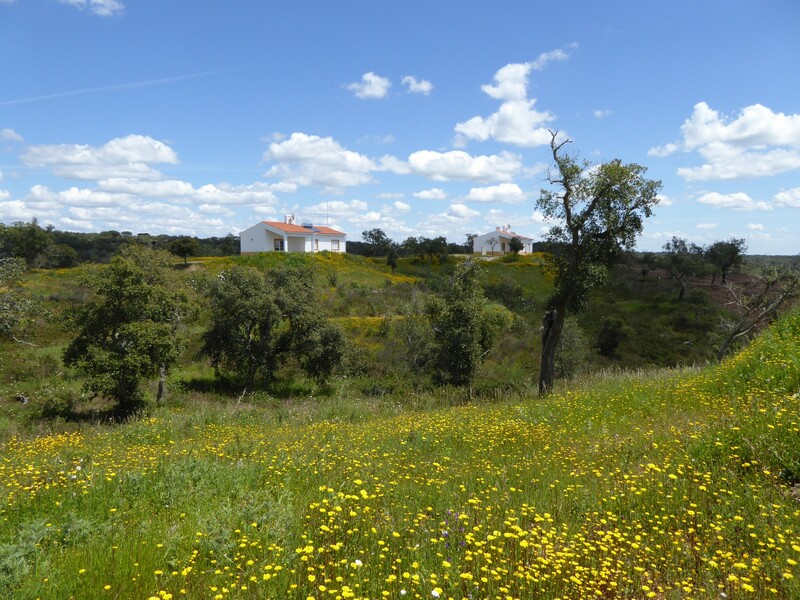 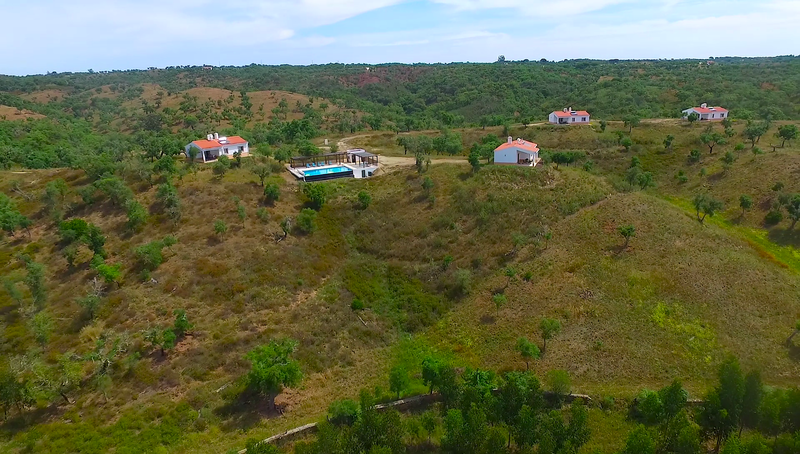 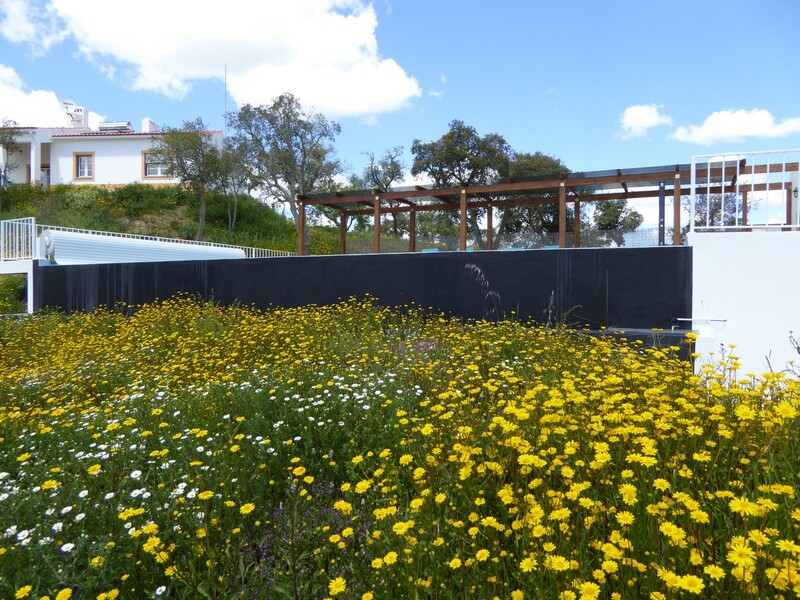 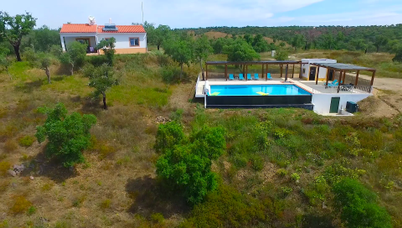 Situated between Santiago do Cacém and Grândola in the Alentejo at 20 minutes from the beaches. 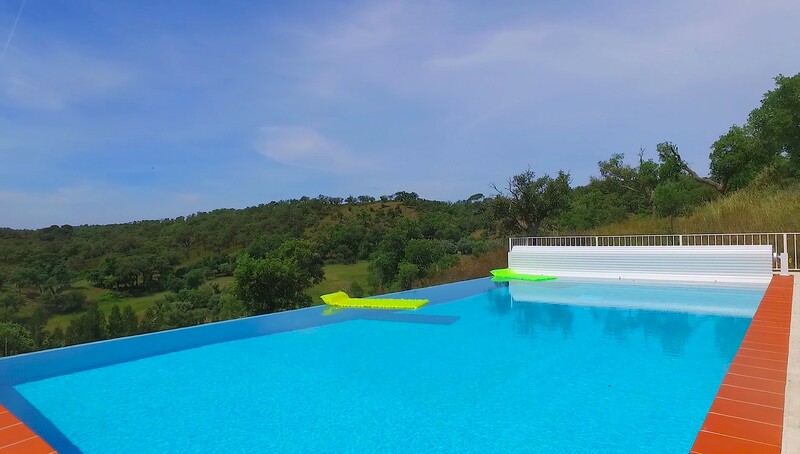 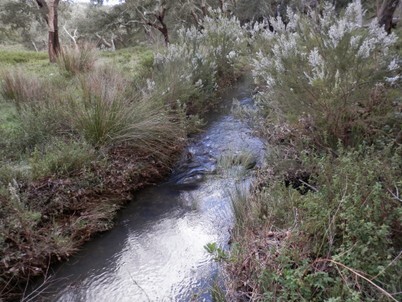 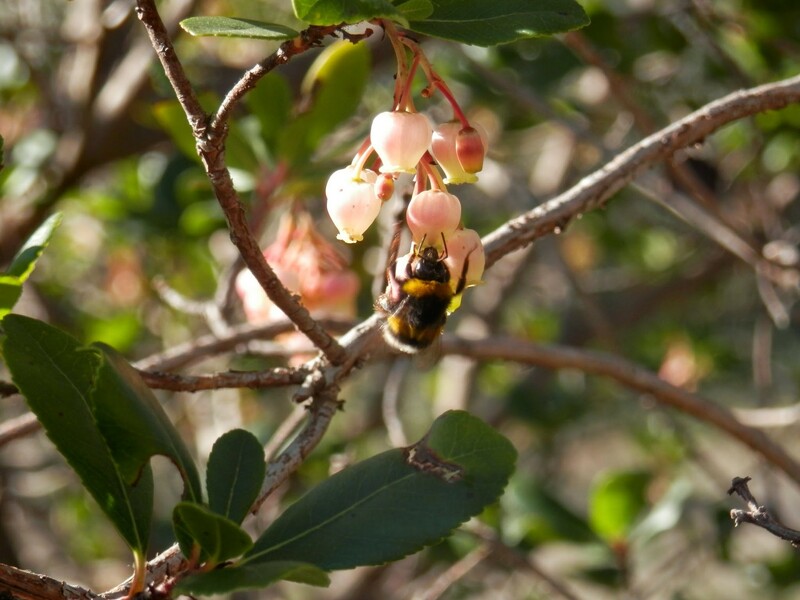 15 hectares of enchanting tranquility in a natural surrounding of cork oak forest. 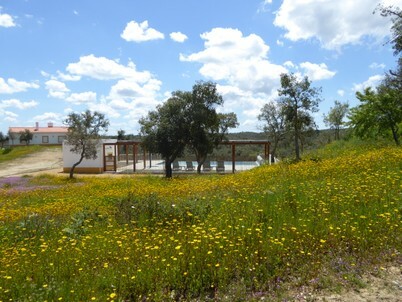 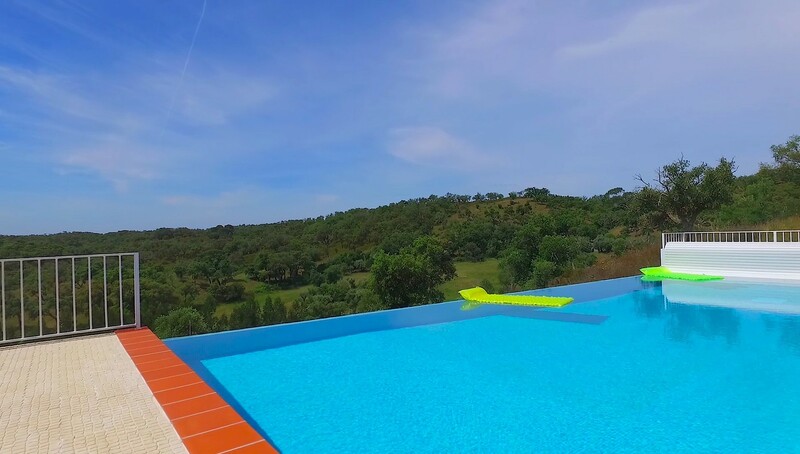 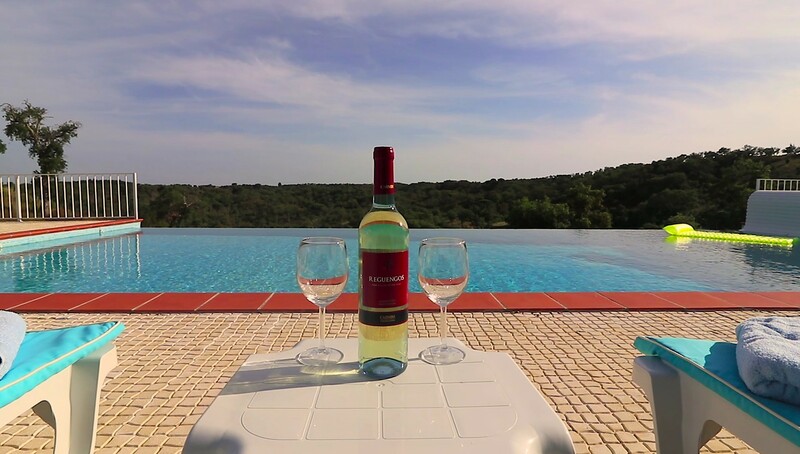 Stay at Monte da Ameira and enjoy the best of both worlds. 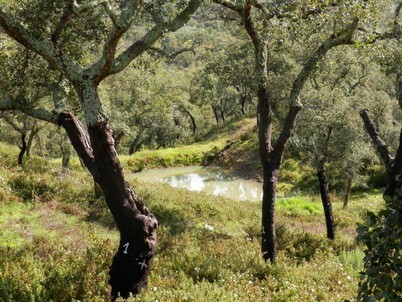 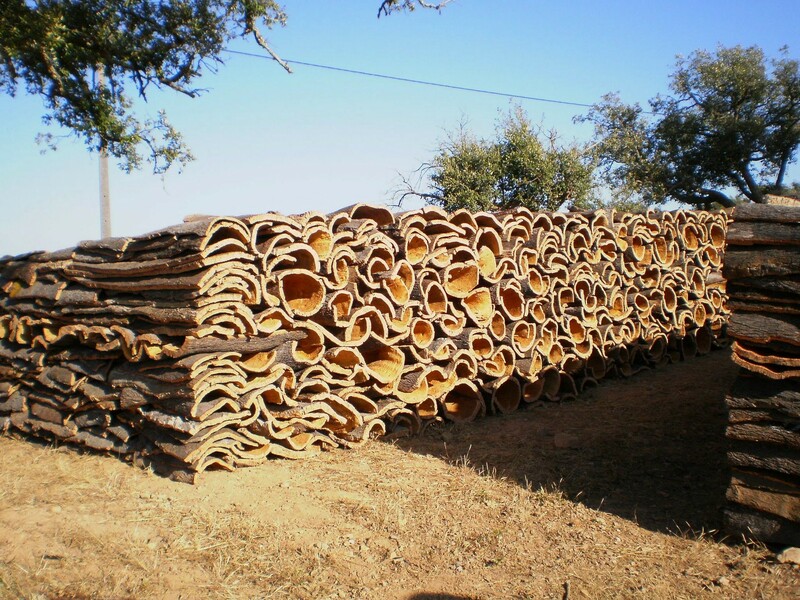 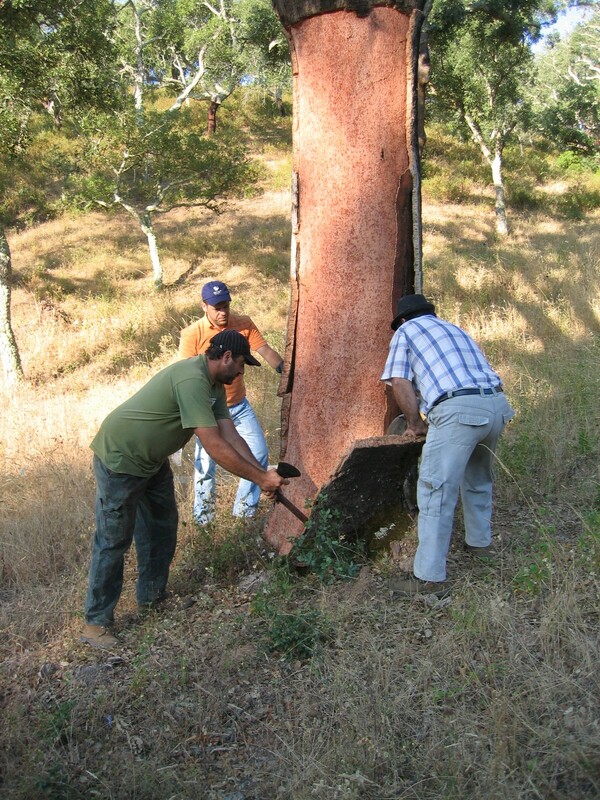 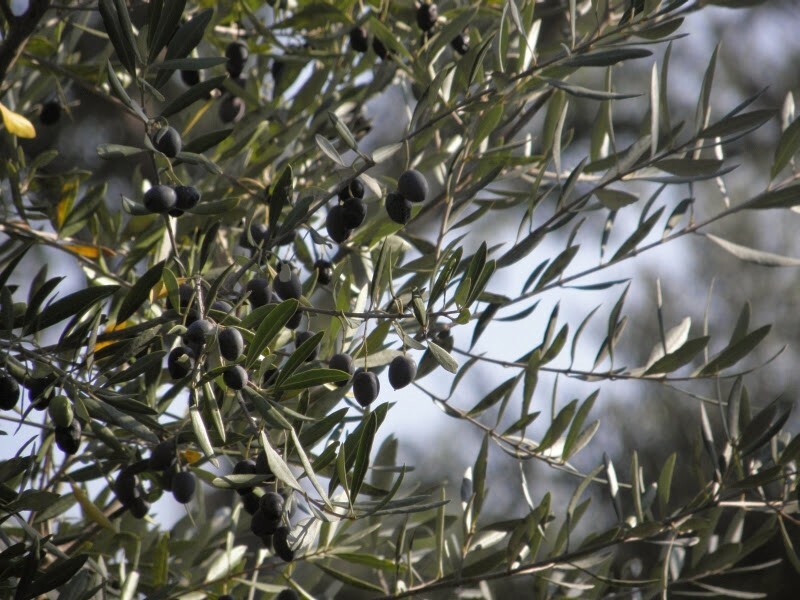 Follow Monte da Ameira's board Countryside on Pinterest. To the north, the scenery is set by the green of the flatlands and further south the undulating landscape is in perfect harmony with the sun, the warmth and a slower pace of life. 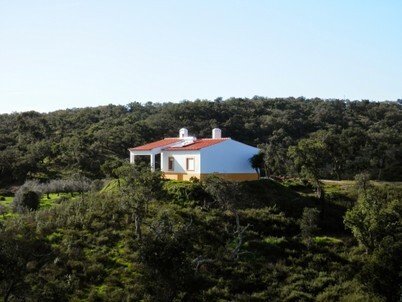 Follow Monte da Ameira's board Coast on Pinterest. 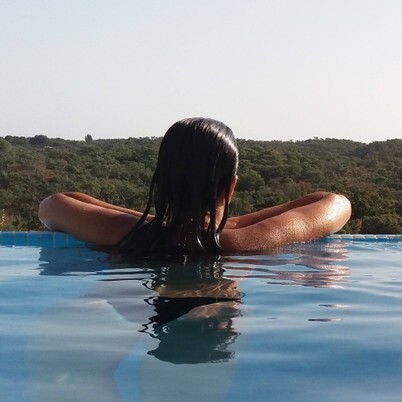 The coast offers beaches to everyones taste. Fine white sandy beaches or secluded coves and lagoons, every beach displays its dazzling beauty under the relaxing Alentejo sun. 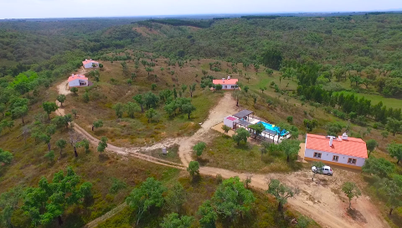 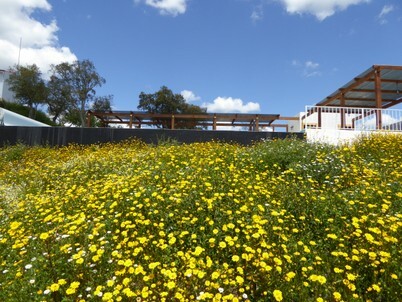 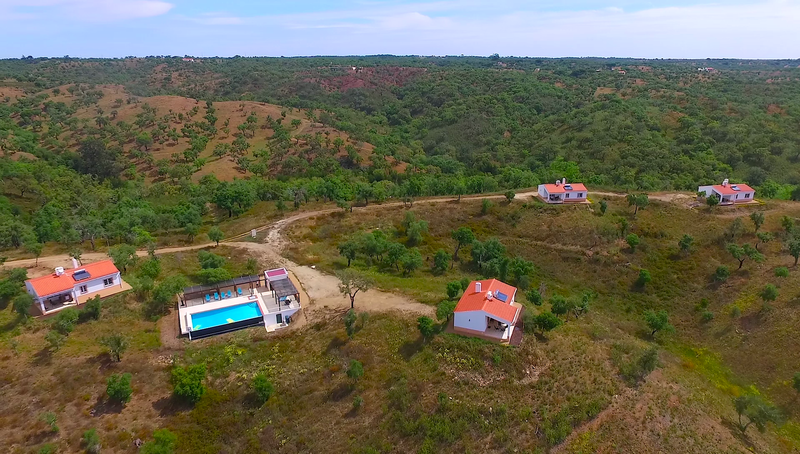 4 free-standing characteristic and comfortable eco-holiday houses ("casas de campo"). 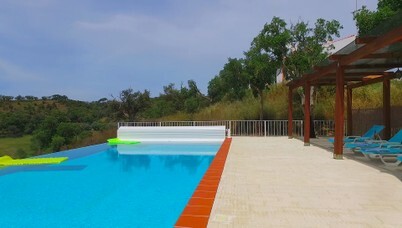 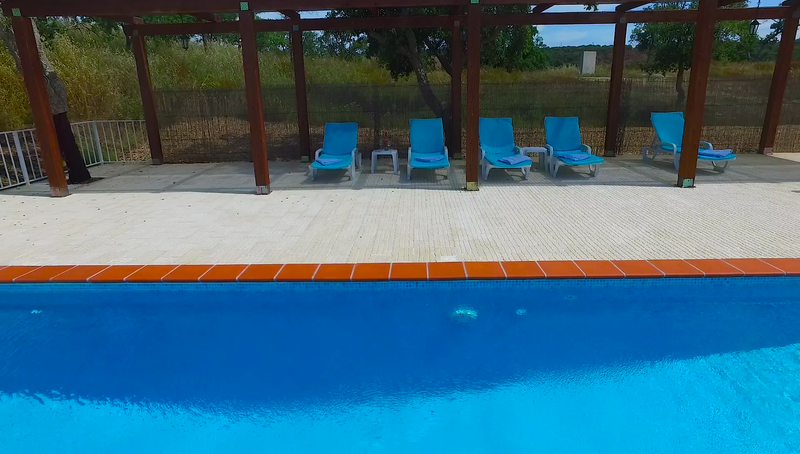 Generous swimming pool with sun terraces, sun beds and sitting areas, boosting a spectacular panoramic view. 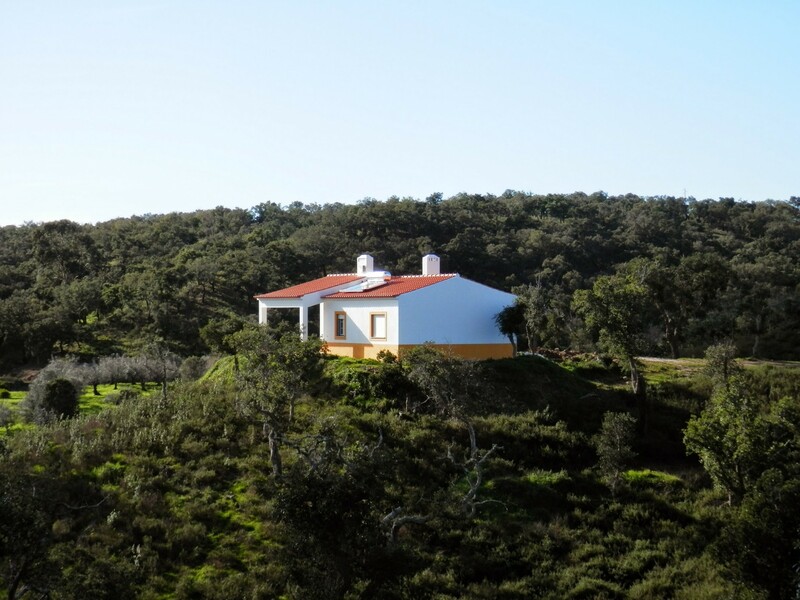 "Countryside and Coast: Stay at Monte da Ameira and enjoy the best of both worlds."